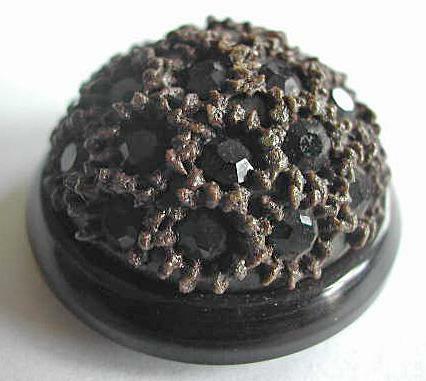 Description: Large dark chocolate brown button covered with rosettes which are filled with a faceted black glass insert. Size: 1 and 3/16 inch and the button is 11/16 inch high. The button has a self shank.